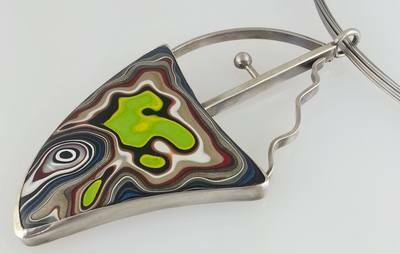 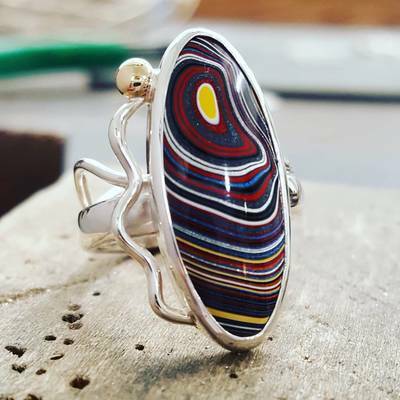 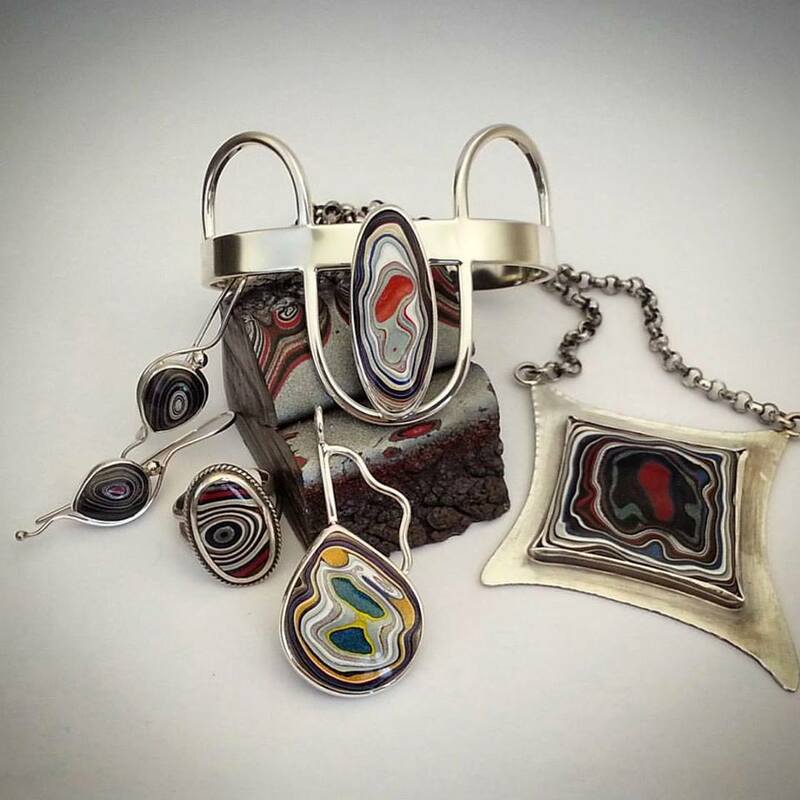 Beautiful, colorful Fordite is a product of Michigan's automotive history. Although it's as hard as stone, and can be cut and polished into gorgeous gems, it's actually layers of auto paint that were discarded by the industry but have been reclaimed and recycled. 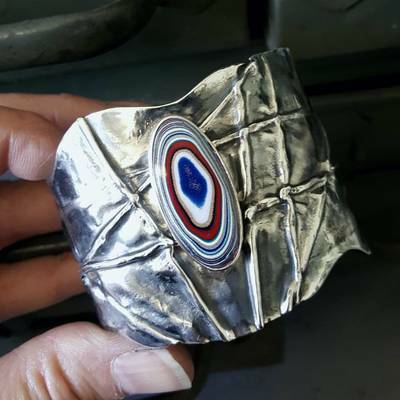 Material has become rare as it's popularity has grown (the manufacturing process has changed so existing supplies are dwindling). 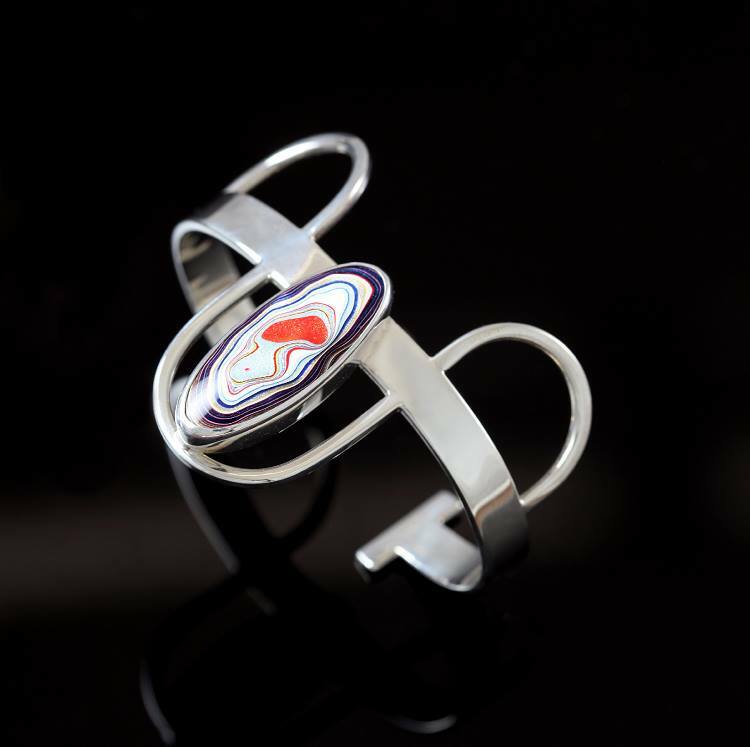 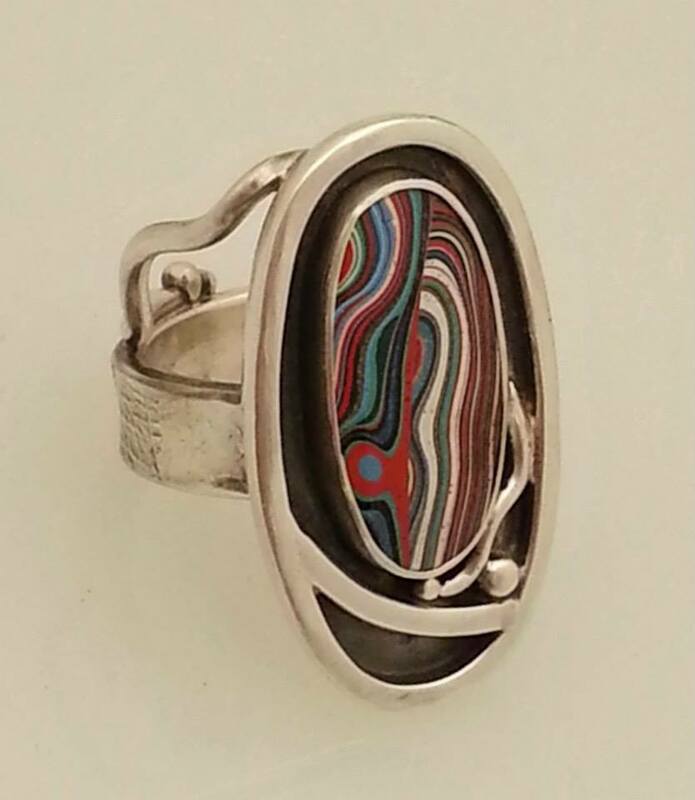 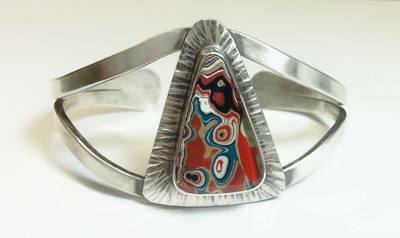 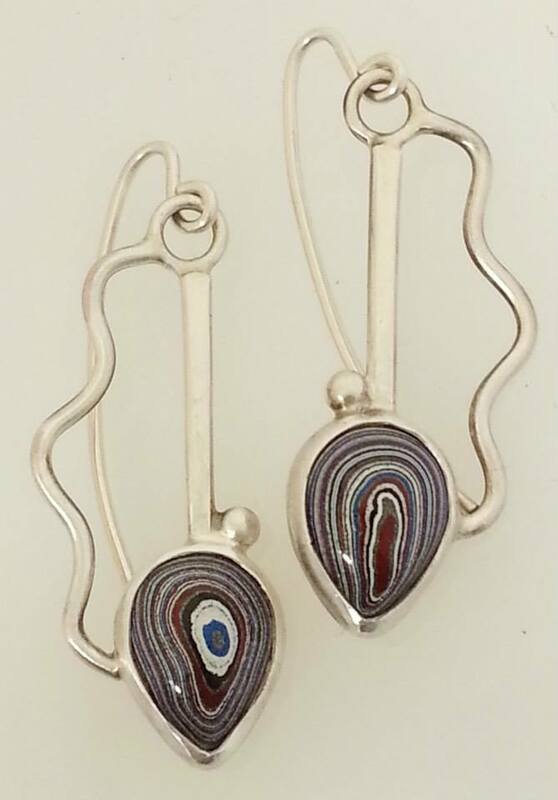 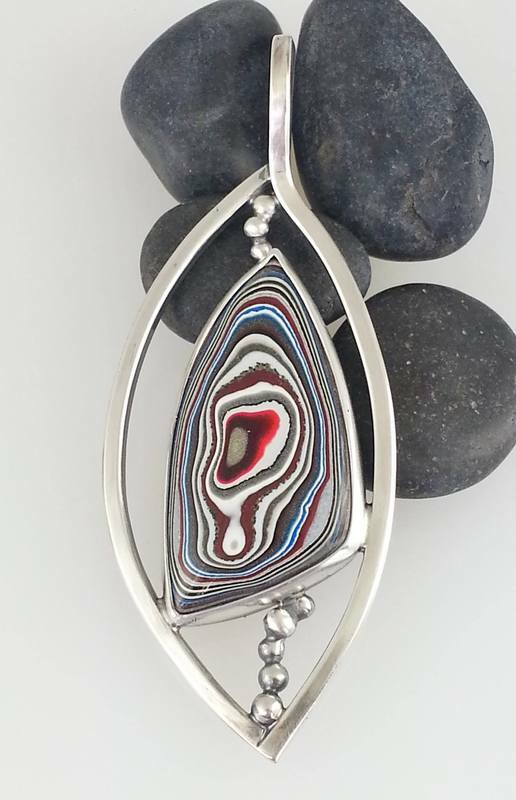 With endless combinations of color and pattern, Fordite is as fun to design with as it is to wear!